Many, including us, were taken by surprise when the Prince Hans-Adam II and Princess Marie attended the funeral of Hugh van Cutsem yesterday. 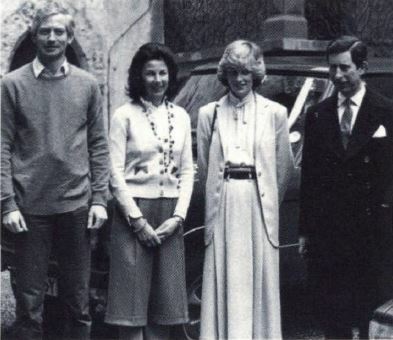 The late Mr van Cutsem might have been well-known for his longtime friendship to the Prince of Wales and his granddaughter might just be one of the most famous flower girls this world has ever seen, but the connection between the Prince of Liechtenstein and the British conservationist, landowner and horse-breeder hasn't been as well publicised. Even we were scratching our heads what the link between the two families was and so, with the help of some of our wonderful readers, came up with a few answers. Mind you, we don't have the answer, just a few informations and speculations. 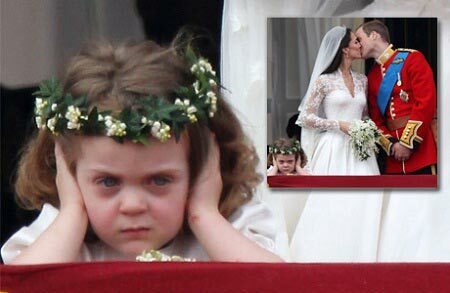 As you are probably very well aware, the Princely Family are Roman Catholics as are the van Cutsems. Hugh van Cutsem was the former Secretary-General and later Chancellor of the British Association of the Sovereign Military Order of Malta, probably the most well-known Roman Catholic lay religious order. The Prince has also been a knight of the Order for many years. 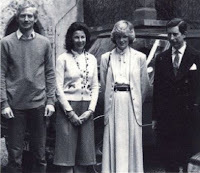 It is also possible that Prince Hans-Adam, Hugh van Cutsem and their families somehow met through the Prince of Wales or the British Royal Family in general. 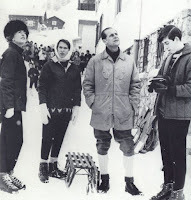 During the 1960's, 1970's and 1980's, it wasn't an uncommon occurrence for the British Royal Family to spend their skiing holidays in the Principality that is Liechtenstein. Even non skiing holiday visits weren't out of question and its entirely possible that those visits are still happening today. Liechtenstein is not a country were you'll find paparazzis hiding behind the trees, you know. Whatever the story of the Princely Family and the van Cutsems coming into contact, it surely is close. Something which didn't only show in the fact that Prince Hans-Adam and Princess Marie attended Hugh van Cutsem funeral. Back in 2009, the Princely Couple already attended the wedding of Nicholas van Cutsem, third of the four sons of Hugh and Emilie van Cutsem, and Alice Hadden-Patton. Prince Hans-Adam II and Princess Marie were guests at both a family lunch before the actual wedding and then the wedding ceremony which was held at the Guards Chapel at the Wellington Barracks in London. Prince Hans-Adam II is said to be a godfather of Nicholas van Cutsem. Another thing you also come across when googling van Cutsem and Liechtenstein together is a story from a few years ago that includes the late Hugh van Cutsem's wife Emilie. After she inherited a £35 million fortune, she moved the trustfund from Switzerland to Liechtenstein though that's not really likely the story of how they met as Nicholas was already born in 1977 and the other thing happened long after.